Why do my fellow Realtors insist on continuing to use the 9's in their pricing in today's market? $499,999, $599,000, $649,900, $254,900 - you get the picture. It may have worked in the days prior to the internet, search engines, etc., because the price of the home was less than it's rounded up number. But today it may be the biggest mistake a seller and Realtor can make in marketing a home to a buyer, today's buyer. But then again, most Realtors and sellers forget to realize that they are marketing a home to the buyer and not for themselves. Today's buyers go to the internet first for their real estate search. We get that, but what also must be gotten is that when marketing a home to that buyer you must consider their search habits. Searches by buyers although limitless in scope are limited to search engines parameters. Search engine parameters for properties are set in 0's, 25's, 50's and 75's. (ex. 300-350k, 450-475k, etc.) Because of that, home marketing today must fit to those guidelines. When a home is priced at a "9", their market is limited to those who search within only that price range. Whereas, if a home is priced at a 0, 50, 25, or 75, the home now encompasses two markets, those looking up to that price and those looking above that price. It is common marketing sense. A home priced at $399,999 will only be seen by those looking up to $400,000. Whereas, a home priced at $400,000, will come up for buyers searching up to and above that price point. Exposure is the name of the game in any marketing and opening the house to two markets doubles the number of hits on the internet, which in turn brings in more offers and higher prices. It's Economics 101! It allows a buyer in the above 400k price range to compare that home to the others and just may find it to be the perfect home for themselves. If that home was priced at $399,000, that perfect buyer (and it only takes one buyer) would of never had the opportunity to find their home and for the seller never to sell their home. Conversely, and using the same price point, if the home was priced at $401.000 - 414,900, the buyer searching up to $400k would have never seen the home either. And although the buyer was not looking over $400k, they just may of come up with the funds to buy it for a little over that mark. Especially because a home purchase is 90% emotional anyway, buyers will figure out a way to get it. Plus, in many cases a home priced just above 400k, may really be worth under that mark leaving the true buyer of the home out of the loop. All told, and in today's real estate marketing searches, $414,900 and 394.900 is the same price as $400,000. Yes, the same price. (And, don't get me started on those homes priced at the "..55" mark.) Real estate is not a gallon of milk or gas where the number nine is still a marketing tool to give the impression that the price is "less than". 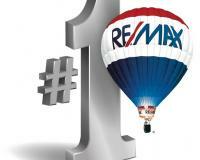 The odd numbers in real estate marketing do not apply. It may sound cute, it may give the seller the thought that it gives some negotiating wiggle room, etc., but the buyers are not fooled anymore - they have too much information at their fingertips. Buyers look at one thing, value for their real estate dollar. They are not looking to steal a home, they are looking for value. Unless a home shows value for the dollar as compared to others, there is no sale. Plain and simple. And for those sellers, that do not want to under-price their homes or do not want to give their homes away, remember, a seller may set an asking price but the buyer sets the value. A home that is overpriced will not sell and by trying a price and then reducing it to find a buyer, results in chasing the market and selling the home for less than what it would of sold for if priced right in the first place. And as far thinking you have under-priced a home, the public will answer that question by creating a bidding war, which would drive the price to is market value anyway Personally, I'll take a bidding war over no bids any day, wouldn't you? But all of this begins with a pricing strategy that encompasses hitting two price target markets as part of the overalL marketing plan. Which will you choose?